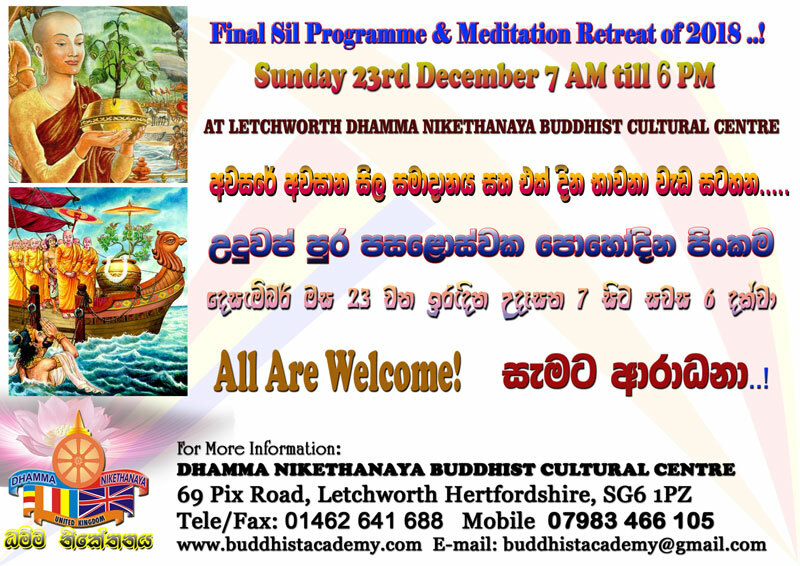 We host a day programme from 7AM till 6PM on last Full Moon Day of the year Unduvap Full Moon Day. This day we remember the Theri Sanghamittha and Jaya Sri Maha Bodhi. 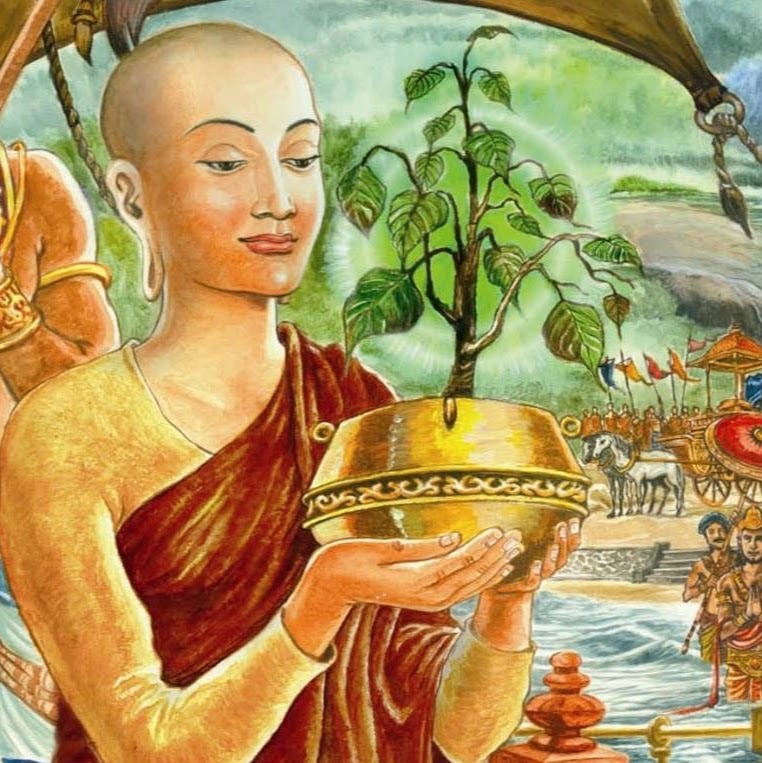 The sacred Bo sapling was brought to Sri Lanka in a golden bowl, and thereafter planted in the Mahameuna Garden in Anuradhapura. Bo saplings that emerged from this tree were taken to other parts of the island to spread the Buddhist philosophy and culture. It is said that this visit by Sangamitta Theri was beneficial to Sri Lanka in many ways other than its main purpose of bringing the Bo sapling. The retinue that accompanied her included people skilled in diverse crafts and disciplines such as wood work, agriculture, indigenous medicine, etc. and their expertise was shared with the locals. Since then these skills have been handed down through generations and utilized for the development of this country.